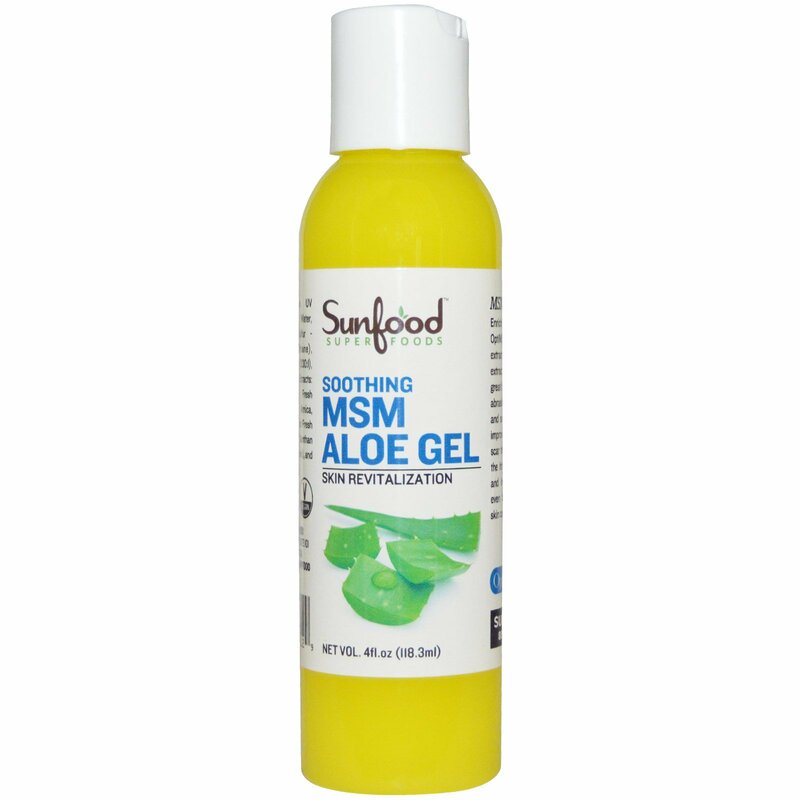 Enriched with 12% OptiMSM, organic aloe extract and soothing herbal extracts, MSM aloe gel is great for reducing pain from abrasions, bruises, burns and sunburns. 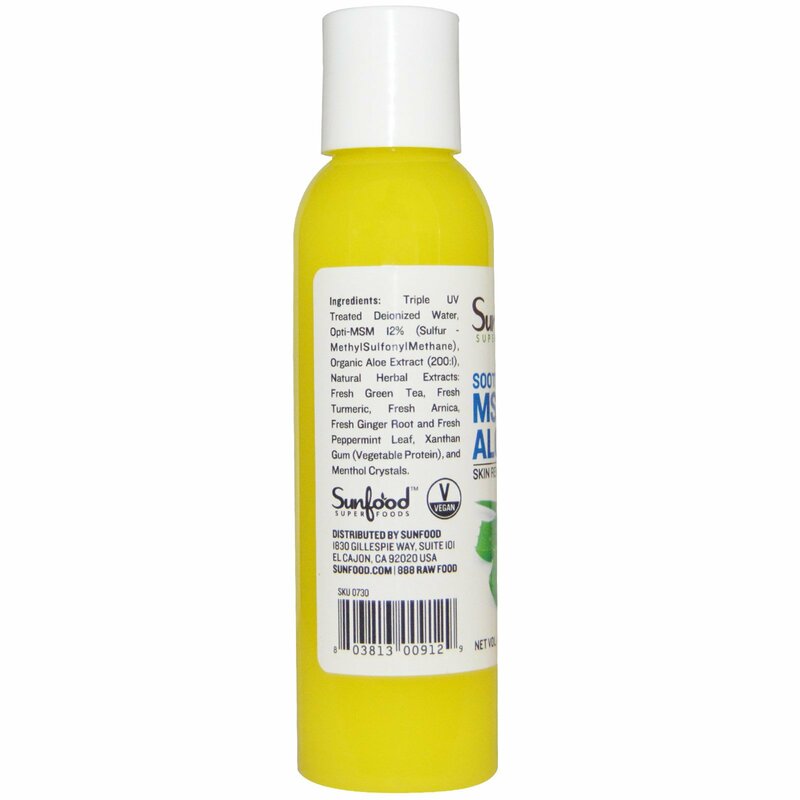 It may also improve cracked skin and scar tissue, as well as take the itch out of poison oak and insect bites. It may even be used as natural skin care. Triple UV treated deionized water, Opti-MSM 12% (sulfur - methylsulfonylmethane), organic aloe extract (200:1), natural herbal extracts: fresh green tea, fresh turmeric, fresh arnica, fresh ginger root and fresh peppermint leaf, xanthan gum (vegetable protein), and menthol crystals.